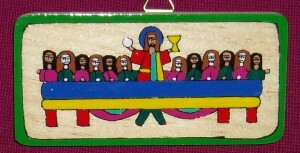 A Fair Trade product made by a village community in El Salvador. This cross is 26cm tall. A Fair Trade product, made by the Palestinian Christians. Each cross has a lovely feel to it, with the grain of the olive wood showing through. Ideal for people to hold, especially the ill and elderly. 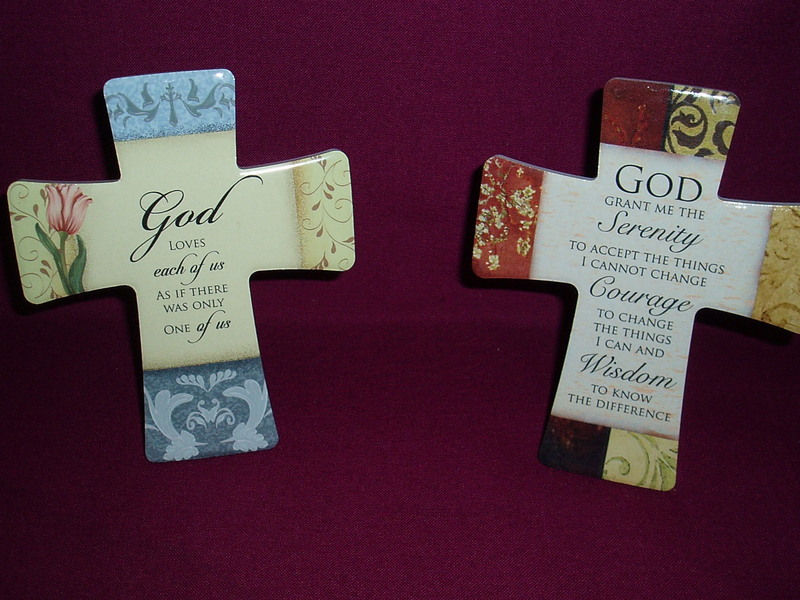 The holding cross also makes an excellent gift for a group or class. The cross is 10cm tall. Larger orders of 15 or more can attract a 10% discount — to receive this discount, please contact us by telephone or email to put the holding crosses on an account invoice (an account can be established easily if not already in existence). 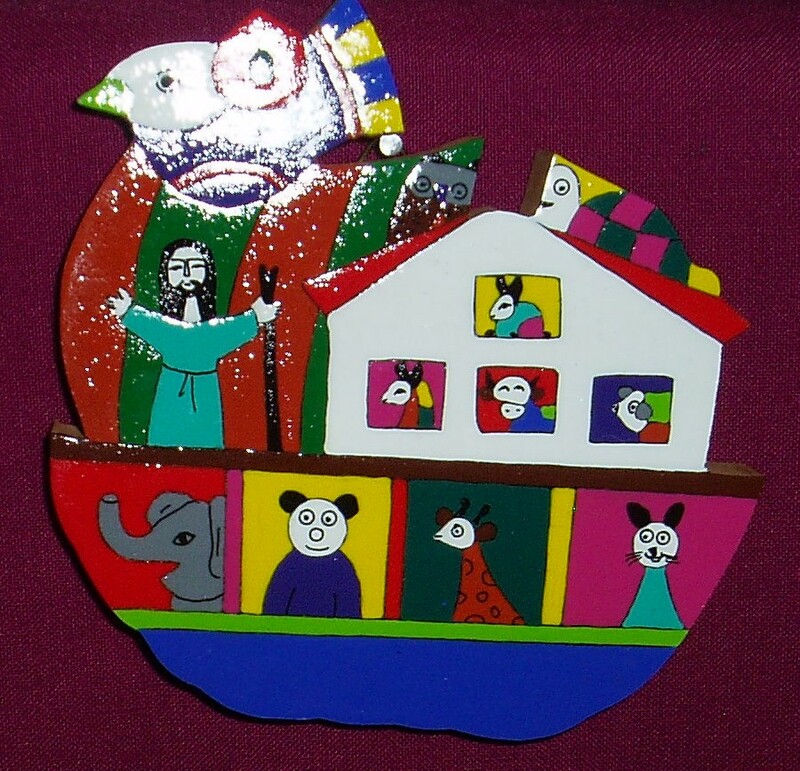 A Fair Trade product made by a village community in El Salvador. 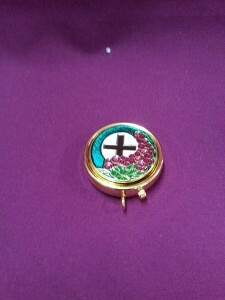 A lovely gift for the sacrament of First Holy Communion. The dimensions are 10cm x 5cm. A Fair Trade product made by a village community in El Salvador. 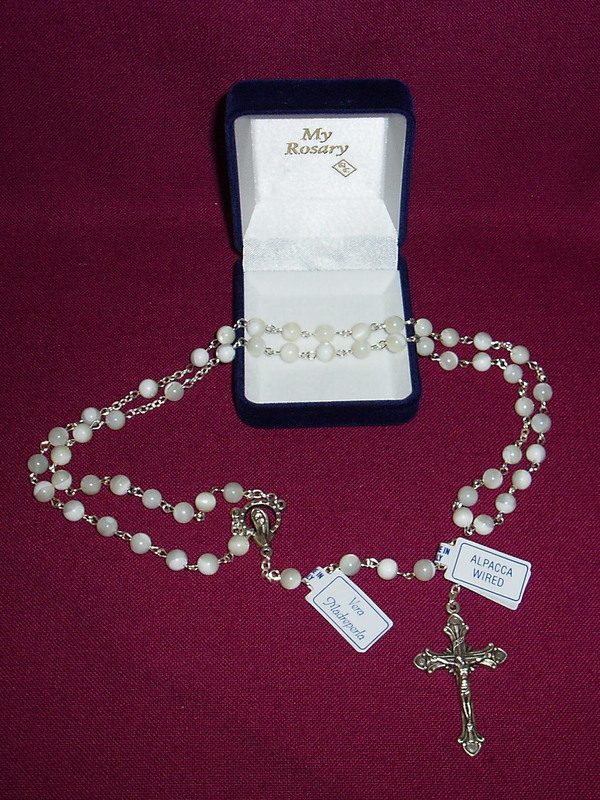 An original gift for First Holy Communion. The dimensions are 20cm x 12cm. A Fair Trade product made by a village community in El Salvador. 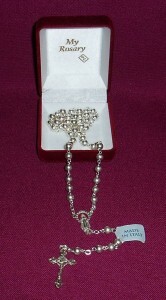 A lovely gift for the sacrament of Confirmation. 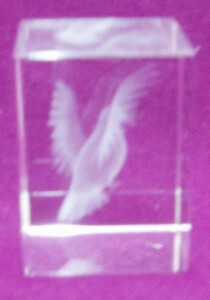 The item is double sided, with a dove on both sides. 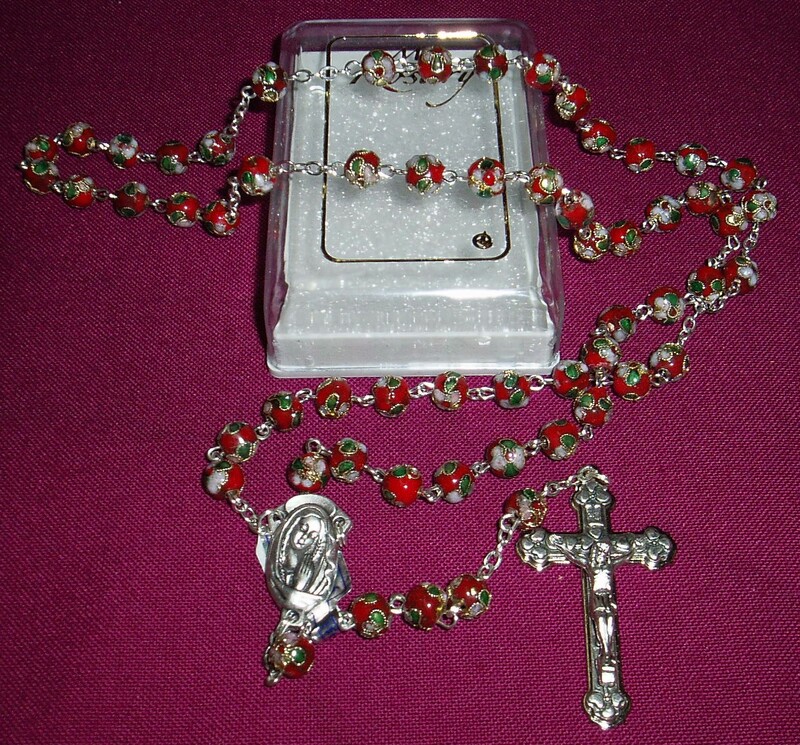 The dimensions are 12cm x 5cm. 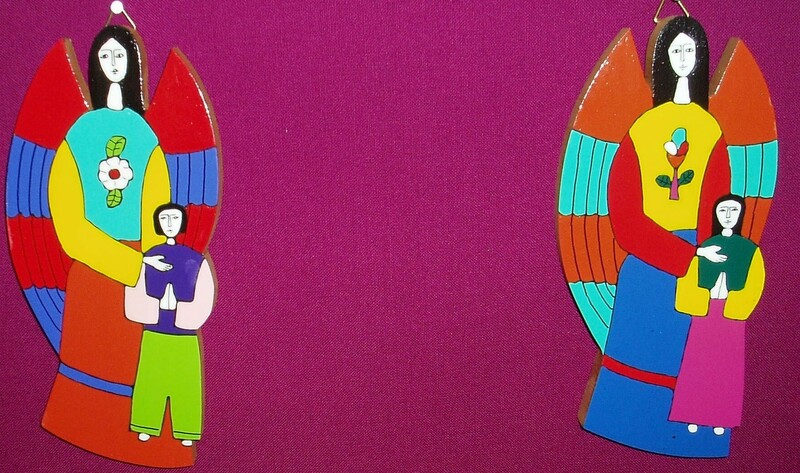 A Fair Trade Product made by a village community in El Salvador. The dimensions are 14cm x 12cm. El Salvador Guardian Angel with a boy, or a girl. 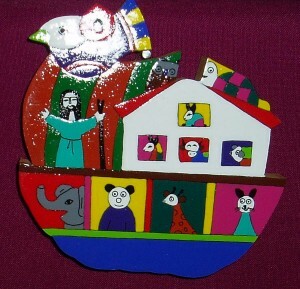 A Fair Trade product made by a village community in El Salvador. 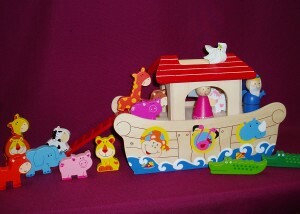 A lovely gift for small children, and for a baptism gift. The dimensions are 17cm high x 8cm wide. St. Paul’s Sunday Missal in flexible green cover with gilt edged pages. A lovely gift edition. Contains the readings for the Sundays of the 3 years of the liturgical cycle. This would make an appropriate Confirmation gift for young people who are moving into adolescence and beyond. Made in England, these scented candle tins are of the highest quality. 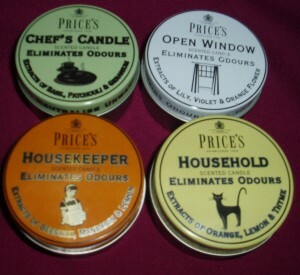 They make a lovely gift item, and come in these varieties: housekeeper, open window, chef’s tin, anti-tobacco, and household. Ideal for the home or office. Praying hands, carved out of olive wood by the Palestinian Christians. 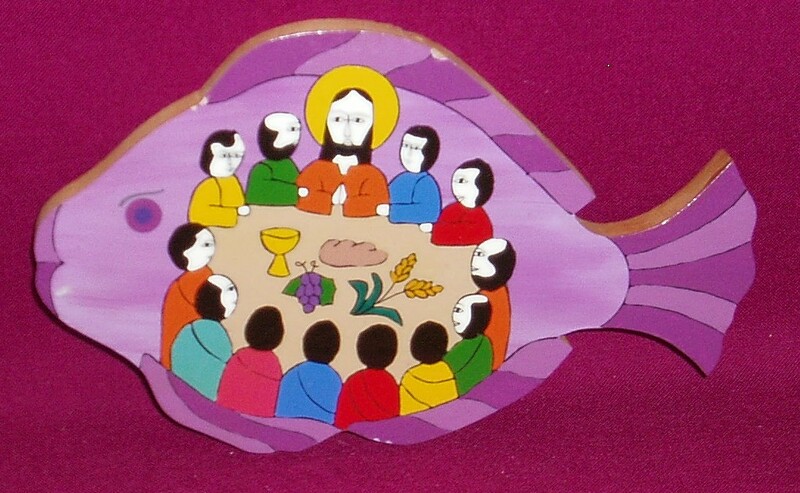 A fair trade product which makes a very symbolic gift for spiritual occasions such as First Reconciliation. 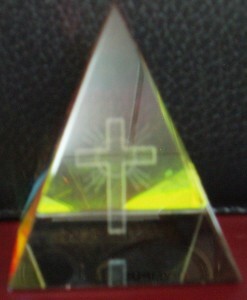 The image of the praying hands, laser cut into a glass cube. 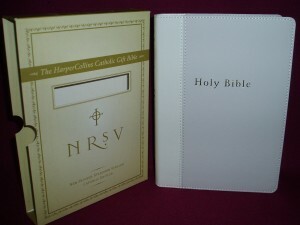 Presented in a quality this makes for a very suitable gift for the Sacrament of Reconciliation. This holy water font measures 110mm x 80mm, and is designed for use in the home, or in a small chapel. A beautiful Italian made sterling silver rosary with 5mm beads. 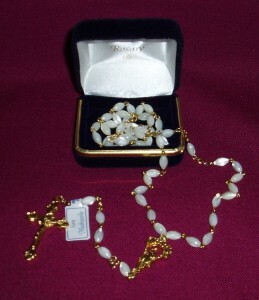 Genuine mother of pearl rosary with oval beads and gold links. 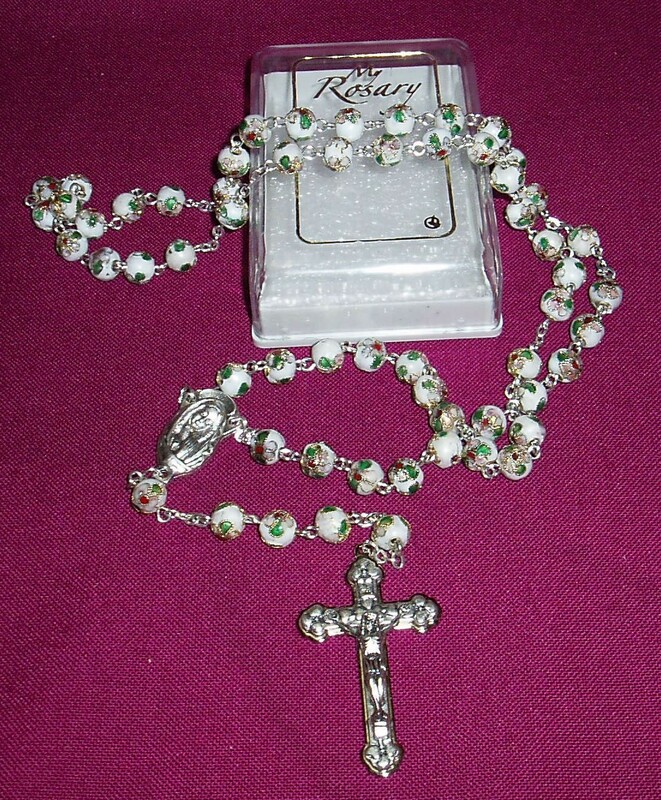 Genuine white cloisonne rosary with 7mm beads. Genuine red cloisonne rosary beads, beautifully decorated. Wooden St Benedict’s Cross 80mm x 45mm, made in Italy with a metal corpus and a nylon cord. Available in dark wood and light wood. Handcrafted Italian made Beechwood Crucifix with a Corpus made from Sterling Silver sheets on a base metal by highly experienced and skilled craftsmen; available in 2 different heights. 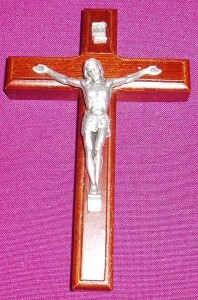 This crucifix, on beautiful beechwood, measures 150mm x 95mm. It comes in a very attractive gift box. 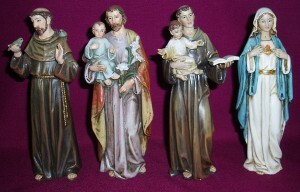 These quality statues are 150mm tall, and come attractively boxed. With lovely faces, and careful attention to detail and colouring, they are probably the best statues available in this size and price range. They make excellent gifts for a variety of religious occasions. 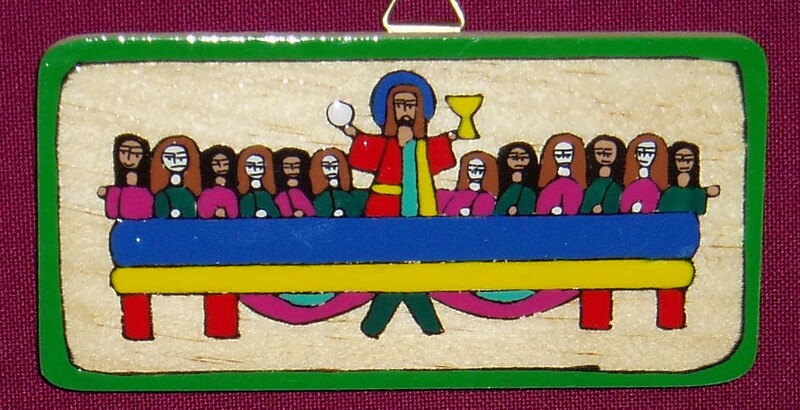 These icon images, made in Victoria with approx dimensions of 120mm x 140mm, are mounted on wood. The couple shown here are samples of the type of work. 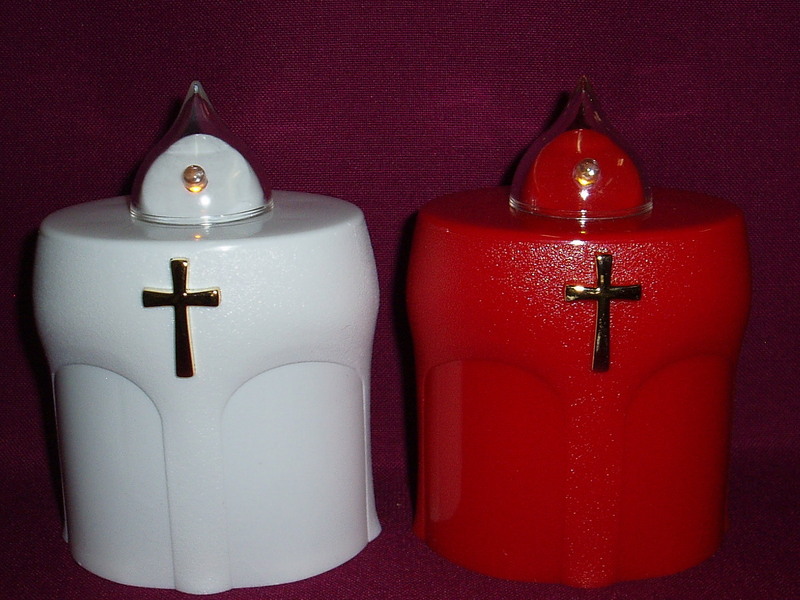 They make very suitable gifts for the sacrament of Confirmation. The icons are priced at $16.50. If you are interested in obtaining an icon image of one of your favourite saints, please contact us by telephone or email to inquire as to whether it is available in this format. This gift item is particularly suitable for Confirmation. It is a dove, laser cut into glass, and comes in an attractive black presentation box. The glass item is 3cm wide and 4cm high. This very attractive necklace reflects the light in beautiful colours. A great gift for Confirmation. Made in the U.S.A. 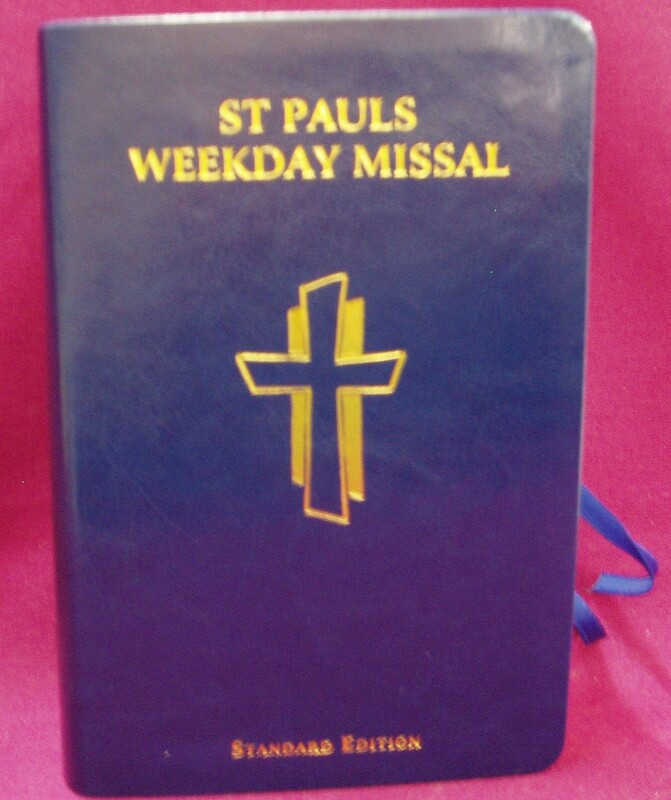 This Weekday Missal, available in either hardback edition, or deluxe flexible cover with gilt edged pages, contains the readings and prayers for all the weekday Masses of the Church’s 2 year liturgical cycle. The Missal has the New Order of the Mass. Unfortunately, the hard back edition of the Weekday Missal is out of print, and it is unlikely that it will be published again in the near future. These wonderful soaps and creams are produced by the Carmelite Sisters, and have a proven track record by way of the loyalty inspired in the customers who use them. The Skin Food is the top seller in the range. The Rose of Sharon Guest Soaps consist of 2 x 40gm cakes in the box. The Beauty Soap is a single cake of 100gm. 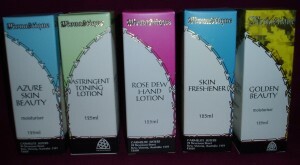 These hand and body lotions are produced with great care by the Carmelite Sisters. These products are of the highest standard at a fraction of the cost of the “brand” names of this world! Each of these products is in a 125ml container. 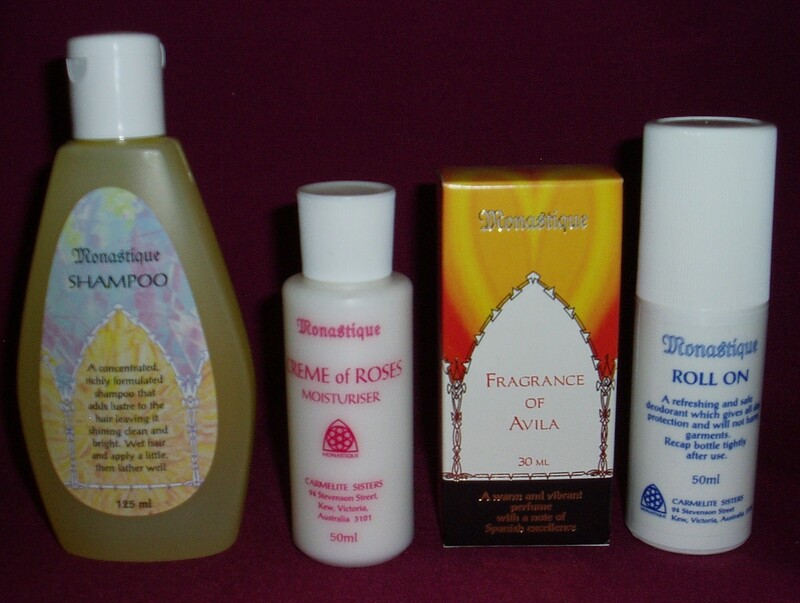 This range of Monastique personal products, made with care by the Carmelite Sisters, includes the ever popular purse size Creme of Roses (50ml), the delightful Fragrance of Avila perfume (30ml); and the shampoo (125ml) and roll on deodorant (50ml). This intriguing item has a cross laser cut into a pyramid. The glass reflects the light in such a way that it picks up different colours. The base of the pyramid is 5cm square, and it is 6cm tall. It comes in a black presentation box. This is a very suitable gift for a boy. 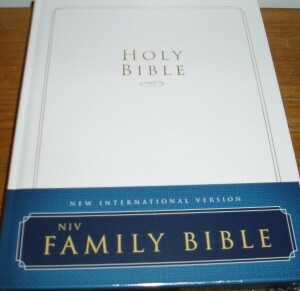 This white family bible (the blue label on the photograph is a part of the packaging only) has the complete text of the New International Version. It has 8 pages for recording important family events; gold edged pages; the words of Jesus highlighted in red; and helpful study tools for reading the Bible. This edition measures 28cm tall x 22cm wide when closed. 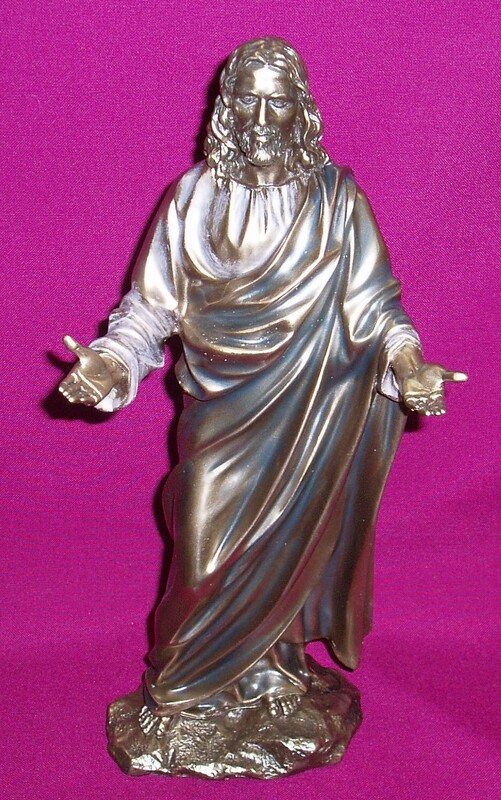 This marvellous statue is made of resin and coated in bronze. The intricate detail in the statue is amazing to behold. The small statue stands at 25cm tall and the large statue at 30cm tall. 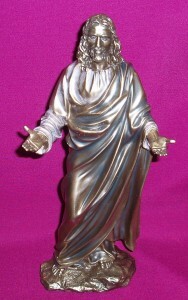 This marvellous, 30cm tall statue, is made of resin and coated in bronze. 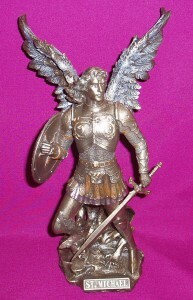 This 30cm tall statue is made of resin and coated in bronze. The intricate detail in the statue is truly amazing. This statue showing the Last Supper measures 33cm across and is 14cm high. It is made of resin and coated in bronze. The statue is very intricate in all of its detail. 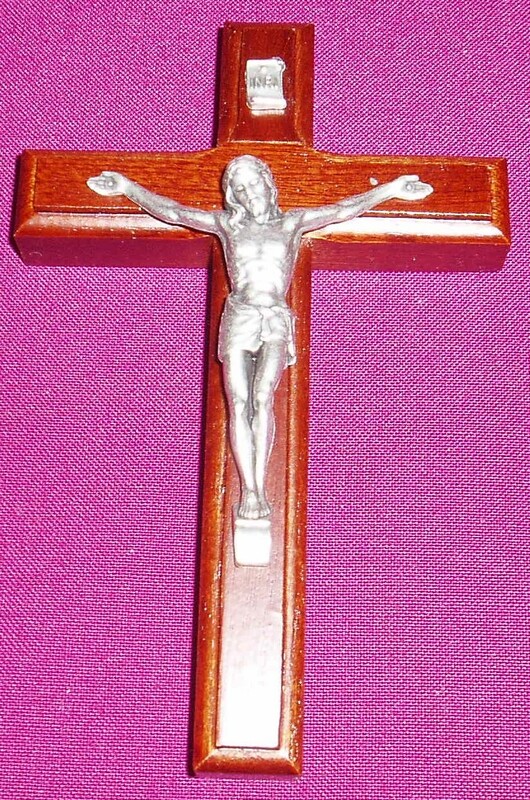 This crucifix measures 25cm tall and 14cm wide. It is made of resin and is coated in bronze. 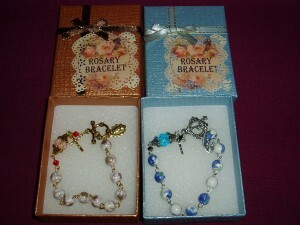 These wooden bracelets are available in dark and light wood, and have rose shaped beads. These attractive wooden bracelets, with a simple cross, come in dark and light wood. This little gem of a book presents nine of the classical hymns/prayers to Mary, with both the original Latin and the English versions of the songs. Beautifully illustrated with Marian icongraphy. 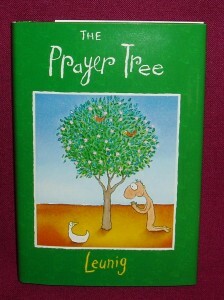 A book for personal devotion, and as a lovely gift. 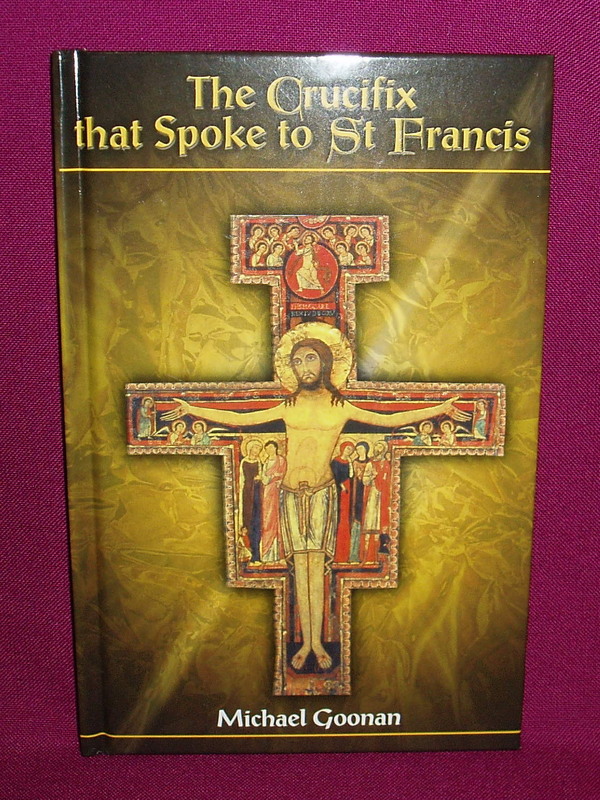 This beautiful book tells the story of the San Damiano crucifix, outlining the history of the cross, its significance in the life of St Francis of Assisi, and it explains all the elements and persons depicted in the cross. The book concludes with several prayers of St Francis. 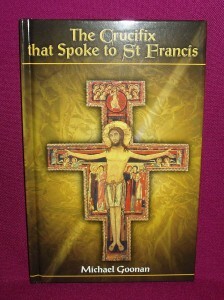 A must for all who have devotion to the San Damiano crucifix. These very attractive LED battery candles burn for 300 days. They are ideally suitable as graveside lights, and for use as devotional candles. There come in white and red, still or flickering. The still light is more suitable for use in the home, whilst the flickering variety is more advisable for use as a graveside light. The candle is 10.5cm tall and 7cm wide. These come with batteries, ready for use. The batteries are replaceable. 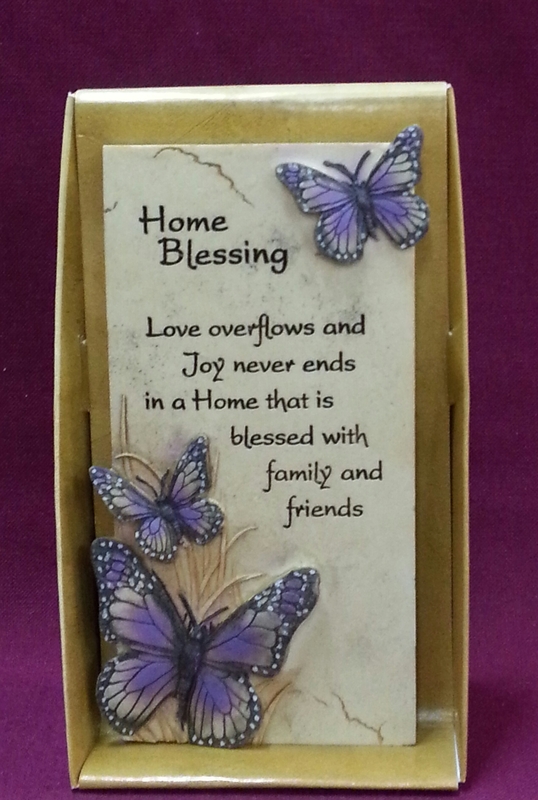 This very attractive Home Blessing plaque makes a lovely gift for the family home, and for those who are moving into a new home. 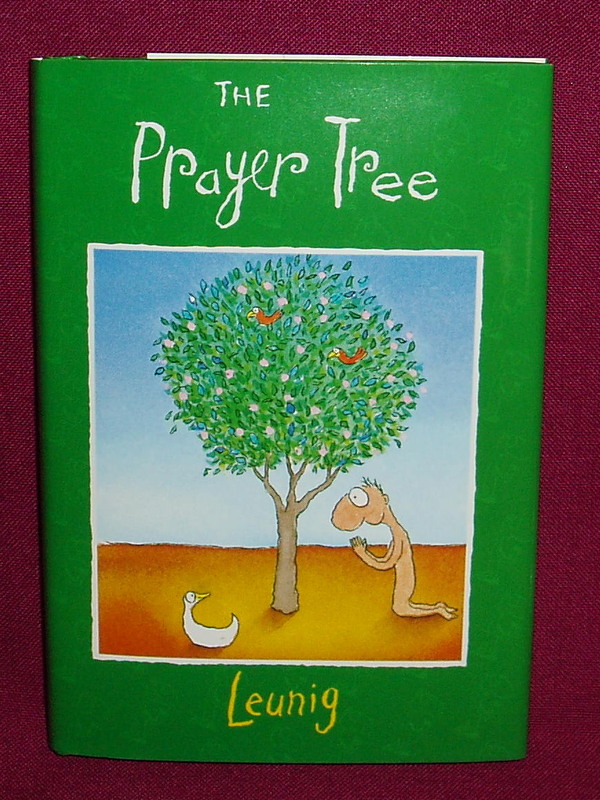 This little gem of a book by Michael Leunig is about a person who “kneels to contemplate a tree and to reflect upon the troubles and joys of life ….. the person is learning how to pray”. 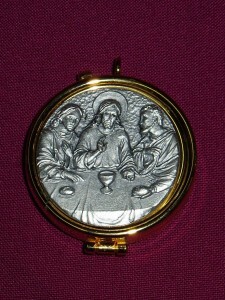 This pyx, with a pewter top, has a diameter of 50mm and would hold approx 10 hosts. 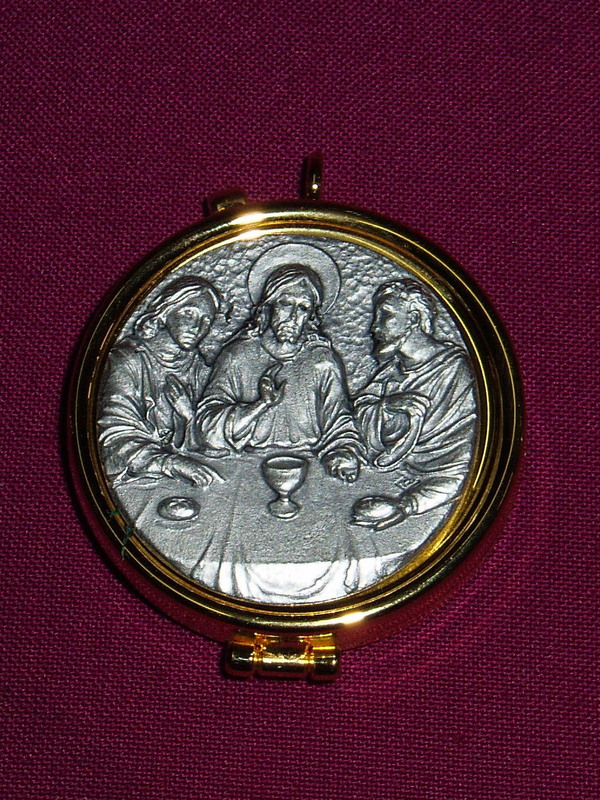 This pyx would make a lovely gift for an Ordinand. 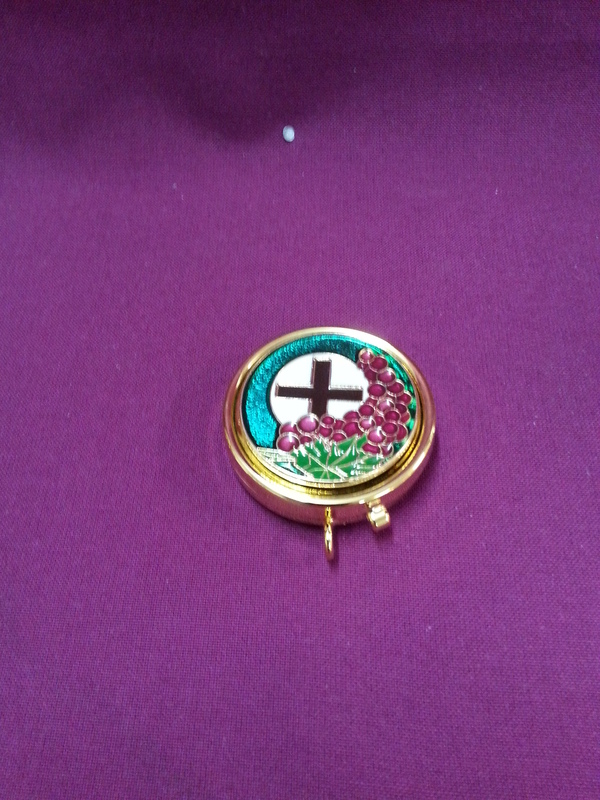 This very attractive pyx with an enamel top embossed with a grapes and wheat motif has a diameter of 50mm. It can hold approx 10 wafers, and would make an appropriate gift for a special occasion. 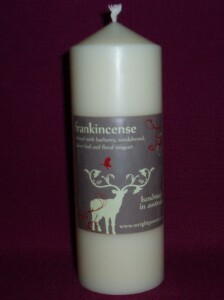 This 54mm x 150mm pillar candle, made in Victoria, is delightfully scented with frankincense. Ideal for the Christmas season, as a gift, and for year round use in the home. This very attractive plaque, measuring 70mm x 110mm when opened, is ideal for the mantelpiece or the work desk. 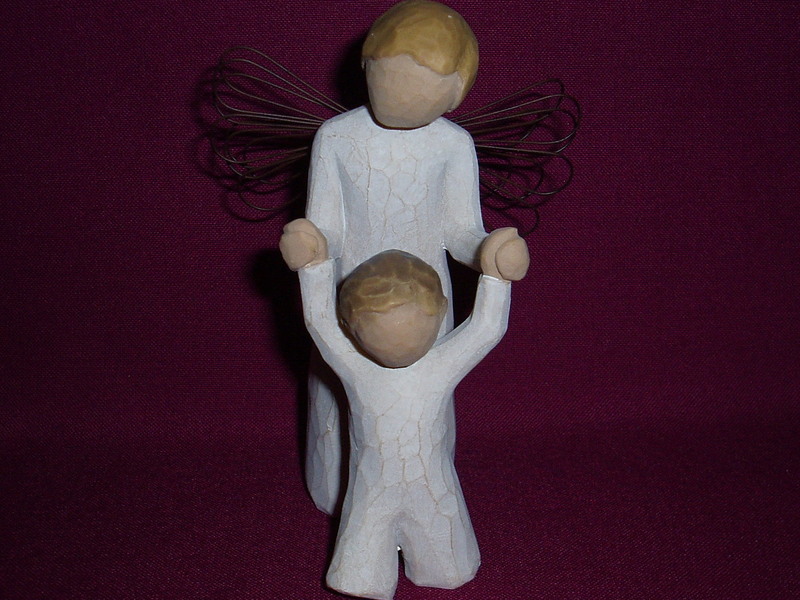 We stock a considerable range of the highly regarded Willow Tree Angels. The prices of the smaller angels range from $27.25 to $33.55. 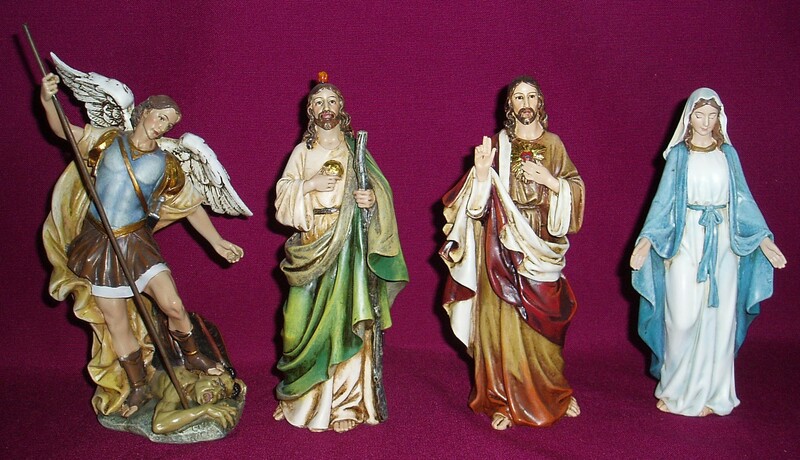 Whilst we don’t have these available for on-line purchase, you may wish to visit our store to select one, or contact us by telephone or email if you know which angel you particularly desire. 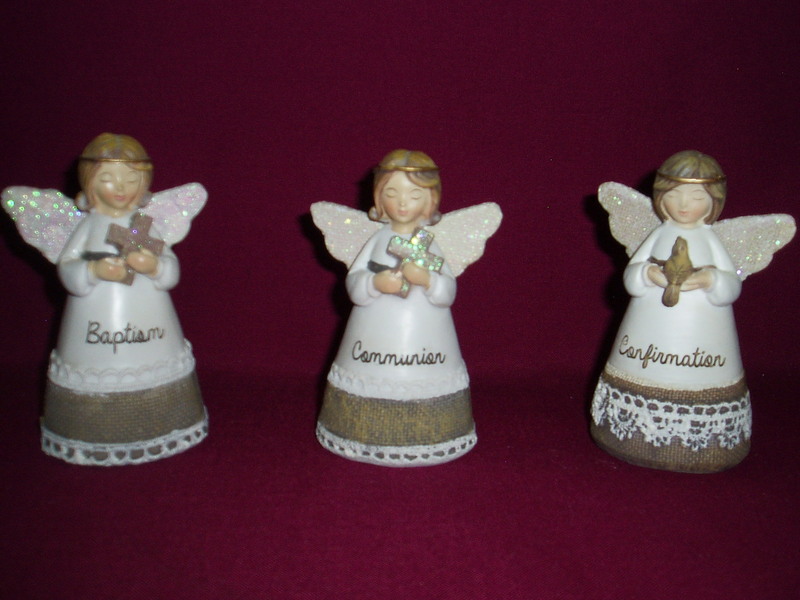 These angels make lovely gifts for many occasions, and some are suitable as gifts for Baptism, Holy Communion and Confirmation. 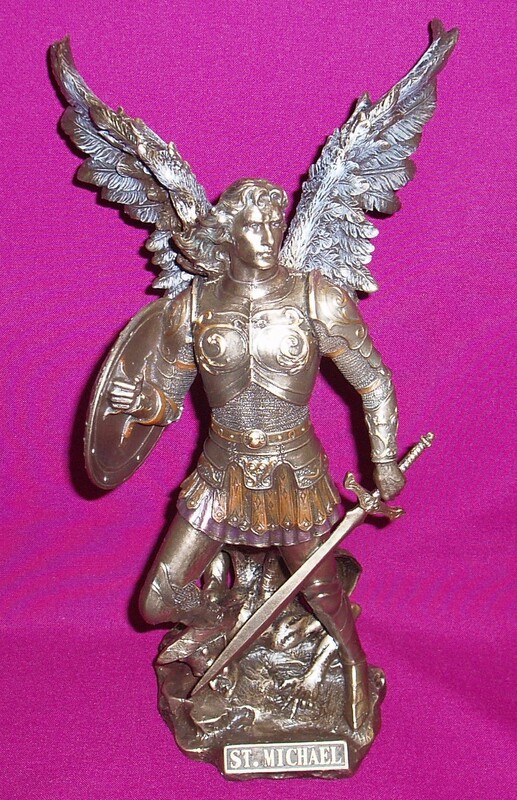 This Guardian Angel figurine, by Willow Tree, is a very popular gift for Baptism and Christenings, and also as a general gift for young children. This very attractive and meaningful porcelain figurine shows the little child nestling in the palm of its loving parent and the loving God. This is available in blue and pink. The figure is 9 cm high. 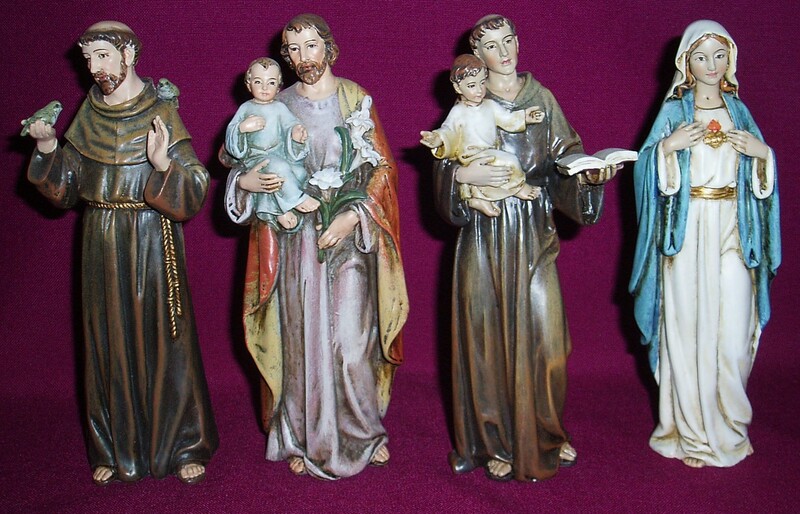 These wood look plaques, featuring a range of popular saints and religious images, measure 90mm x 120mm when opened. 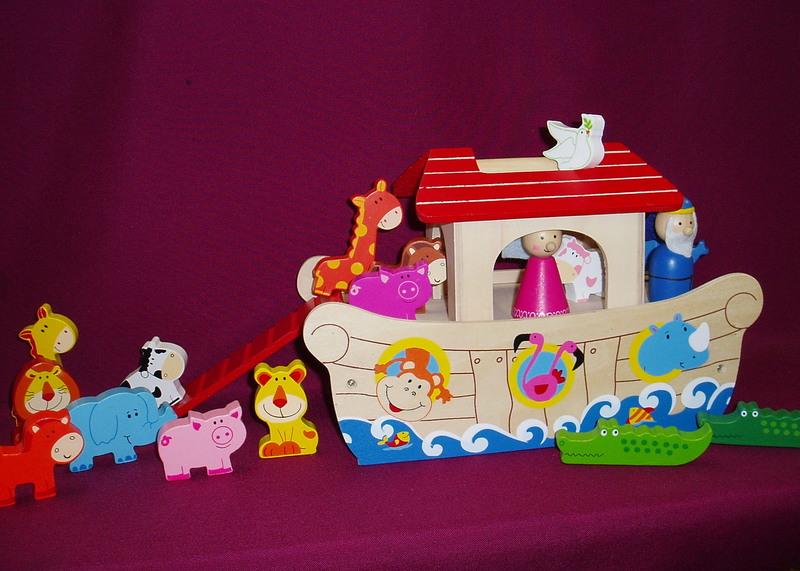 This colourful Noah’s Ark playset is made of wood, is durable and hardy, and would provide hours of entertainment for the young child. This product will be out of stock until early 2019. 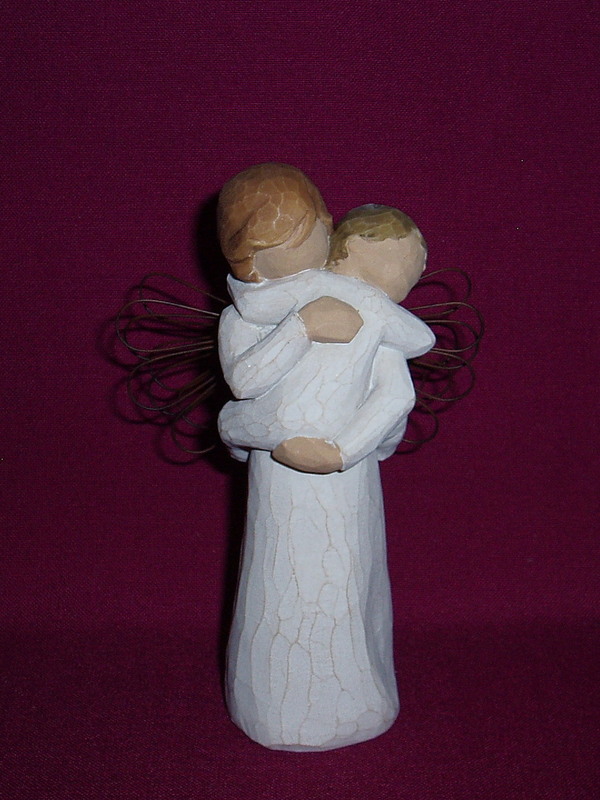 This very meaningful Willow Tree figurine is a very suitable gift for a Baptism or Christening, and for other occasions. 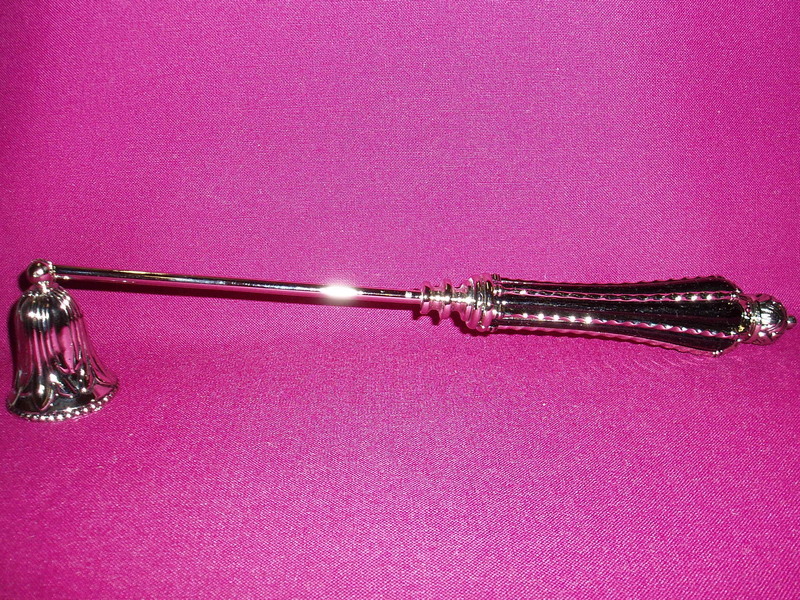 This very attractive silver candle snuffer has an ornate handle with black inlay. This genuine mother of pearl rosary, made in Italy, has very attractive circular beads with silver chain, and comes in a lovely box. 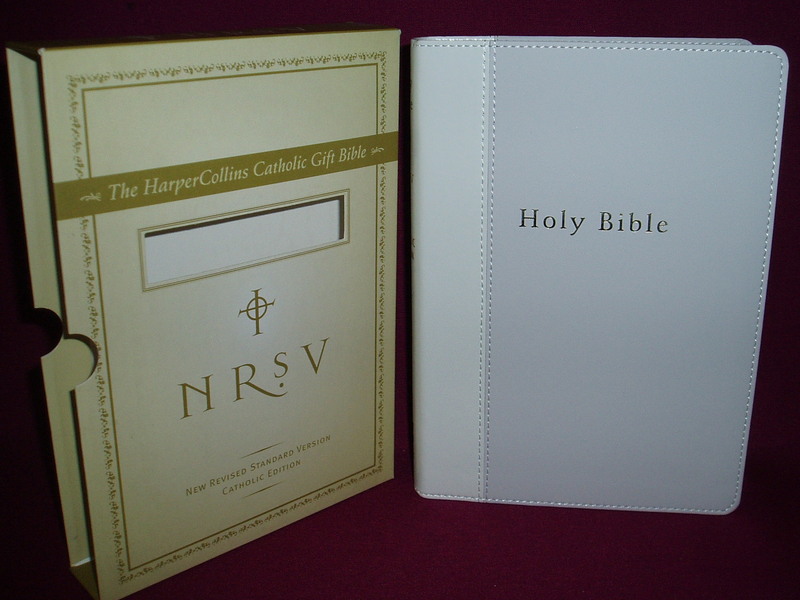 This magnificent vinyl covered gift Bible, in an attractive case, has a Presentation page, and pages to record details such as Baptism, First Holy Communion, Confirmation, Family History and Matrimony. 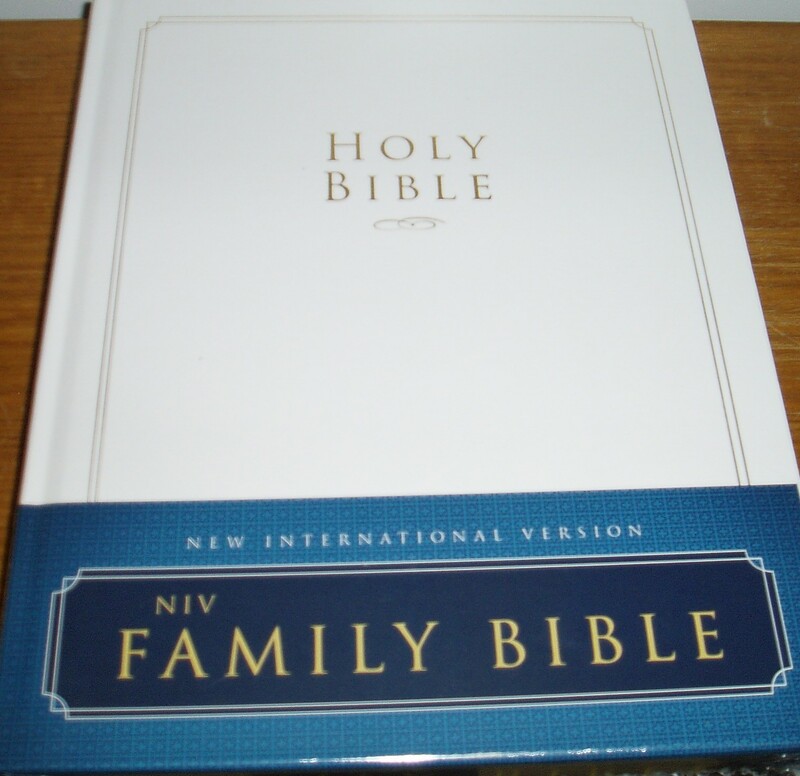 It also has many pages of material to assist with reading and understanding the Bible. This Bible is beautifully designed for readability, and is at the same time compact. It has a satin ribbon marker, and comes in a red or white cover. 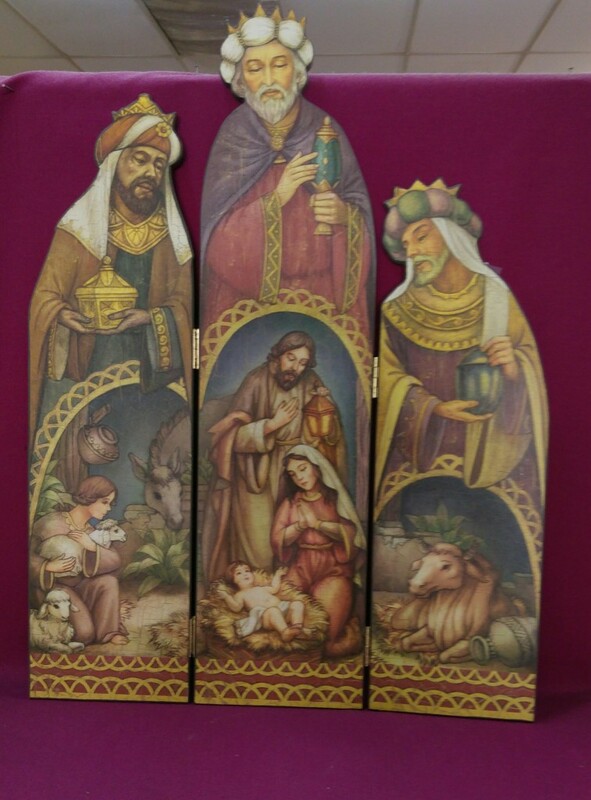 This marvellous 3 panel tryptych, measuring 45cm tall, shows the 3 Kings in adoration of the Infant Jesus. This would be eminently suitable for a church or school setting. 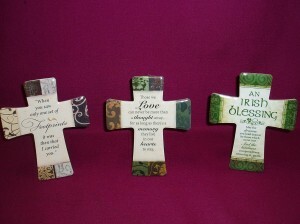 These porcelain crosses make lovely inspirational gifts. 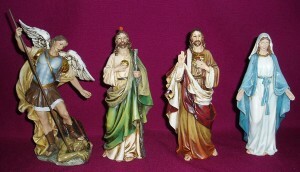 They stand 14cm tall, and can be hung on the wall. 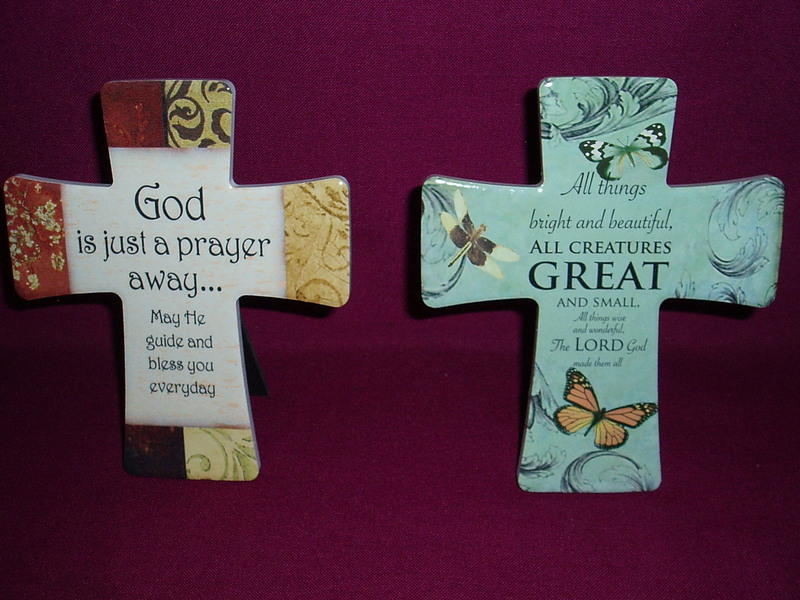 These porcelain crosses, standing 14cm tall, can also be hung on the wall. 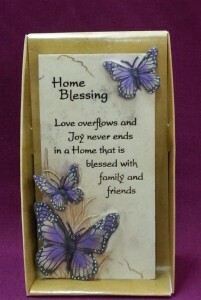 They make lovely gifts with their inspirational messages. 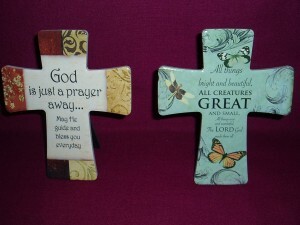 These Inspirational Message Crosses stand 14cm tall and can also be hung on the wall. They make lovely gifts. This magnificent premium quality Christmas card comes in a box of 18, with 19 envelopes. All one design, gold embossed card with quality envelope, these cards are for the special people in your life. The internal inscription reads “Remembering you this Christmas and praying your celebration brings a heart full of joy as you remember God’s amazing love shown through His Son, Jesus”. 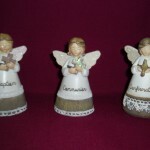 These gift angels, with different themes, stand 11cm tall. 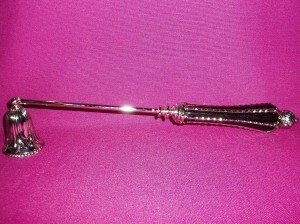 They make lovely gifts for a range of occasions. 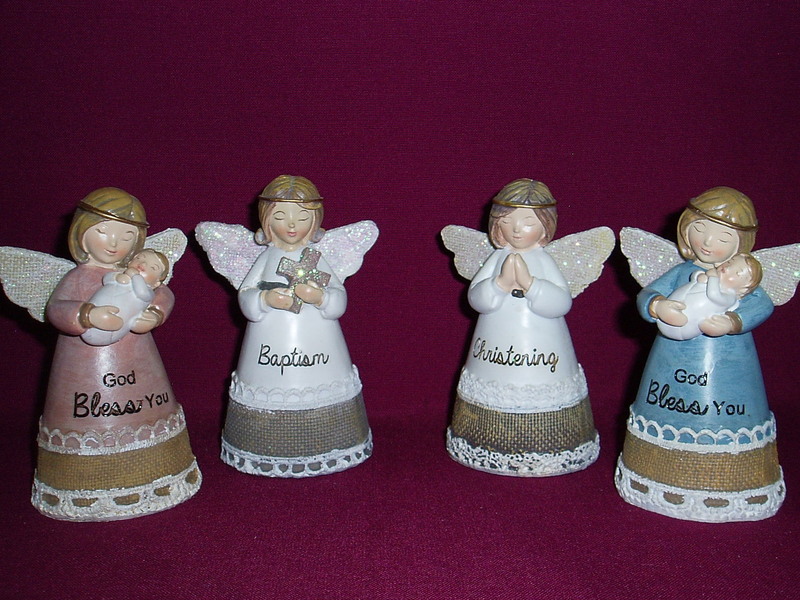 These blessing angels, standing 11cm tall, are specifically for babies and toddlers. They make suitable gifts for the new born baby, and also for Baptism and Christening.